The Stiglitz study is well known and is a factor in making many Americans want to get out of Iraq. (A CNN poll this January found two-thirds opposed the war.) But other costly wars have been waged by the White House, Pentagon, and CIA that have been kept largely secret. Their costs ran into the billions of dollars and not only cheated uninformed taxpayers but lacerated innocent nations, turning their populations against us, and ruined for American business countries that should have been harmonious trading partners. Take El Salvador. President John Kennedy in the early Sixties worked to help El Salvador's military set up ORDEN, a rural paramilitary network, and ANSESAL, an intelligence agency, that were the forerunners of the dreaded Death Squads. Between 1980 and 1992, the U.S. literally waged a war to help the government suppress El Salvador's poverty-struck people. The CIA created right-wing Death Squads to murder labor leaders who fought on behalf of the poor for decent wages. By the time those killer bands had finished their slaughter, 75,000 civilians lay dead and “the U.S. Treasury depleted by six billion dollars,” according to journalist William Blum's “Rogue State” from Common Courage Press. 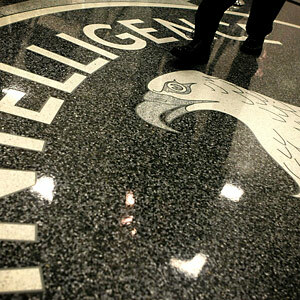 That the CIA was involved up to its ears in the blood-bath is more than a hollow assertion. The man known as the “father” of El Salvador's notorious Death Squads, General Jose Alberto Medrano, told The Progressive magazine at the time that his killer outfits were established with the support of the CIA. What's more, Covert Action magazine reported that in 1963 the Pentagon's Green Beret Col. Arthur Simons of Panama sent 10 Army Special Forces men to help Medrano set up the first paramilitary Death Squad. These Green Berets carried out political assassinations in coordination with Salvadoran military, that magazine said. The slaughter in El Salvador, in which the CIA played a primary role, expresses the duality of U.S. foreign policy---where the White House espouses freedom and self-determination for all peoples while the reality, kept from the knowledge of the American public, is a policy of oppression to serve the interests of misguided U.S. corporate officials exploiting foreign labor. Should it be a surprise that after years of busting labor unions from El Salvador to Iraq, US politicians are attempting to do the same Stateside? Is it surprising that after denying millions of people the world over their fundamental right to life, liberty, and the pursuit of happiness, the U.S. Congress has extended the Patriot Act and President Obama has assumed kingly powers, including the right to arrest anyone and throw away the key? In this stunning disintegration of American democracy, the CIA is regularly found siding with the worst corporate interests---big oil companies such as BP that want government to punish those who expect them to agree to a fair profit; agricultural giants that want cheap labor to maximize short-term profits; and so forth. Such firms are afraid of both free enterprise and fair enterprise, and have turned the face of the nation towards unbridled corporate fascism. Like the Ku Klux Klan of old, the CIA is the new illegal, “invisible empire,” one that works harmoniously with its one-time employee, President Obama, to serve the needs of the Empire. The Republic is dead. "A Perfect Product of the Religious Right"
Eisenhower's Worst Fears Came True. America's Next War Theater: Syria and Lebanon? Do We the People Really Have any Rights at All? Read a Searchable Version of the Mueller Report - Well, William Barr's redacted version, anyway.